Roku made $61.5 million from its streaming video devices this past financial quarter —but then also $75.1 million from advertising and licensing. CEO Anthony Wood now says that the company is not focusing on hardware, it is aiming to monetize its users. "We don't really make money [from the hardware] we certainly don't make enough money to support our engineering organization and our operations and the cost to run the Roku service," he said. "That's not paid for by the hardware. That's paid for by our ad and content business." While Amazon does not release sales figures for its Fire TVs, it's believed that Roku hardware is the biggest-selling of all streaming video devices. Last year AppleInsider reported that Roku had 37 percent of the US market compared to Apple TV's 15 percent. 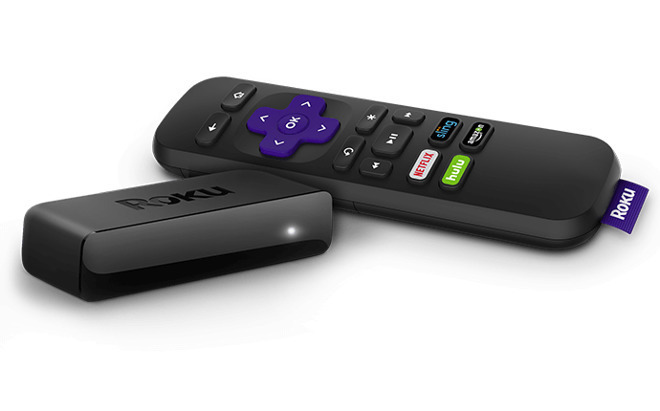 On top of its devices like the $70 Streaming Stick, the company claims that one in four TV sets sold in the US last year come with Roku hardware. 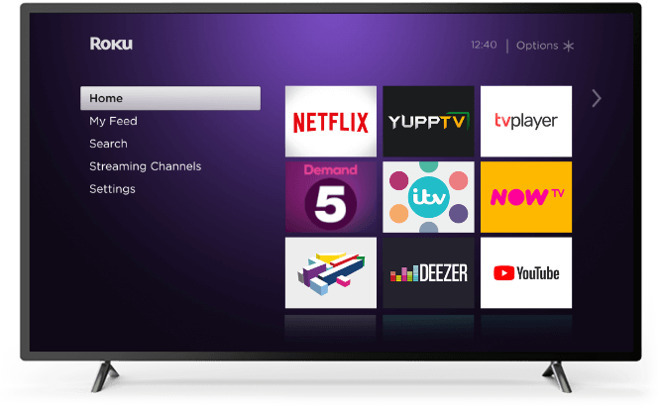 The main screen all users see presents Roku's TV offerings but also adverts. "We help content distributors promote their content, and we get paid for that," said Wood. Roku is just now taking that further, and applying it to you even though you're paying for the devices either directly to the company or via how much your TV set costs. And, this is in addition to advertisements that you may get from Amazon or Netflix. While it is explicitly now focusing on using audiences to increases advertising revenue, Roku is still developing new hardware. Speaking about the its recently announced speakers, Wood explained why the company is making them. "We're trying to make Roku TV the best TV it can be. And that will will cause us to be able to sell more ads, frankly, in the long run." The Verge which interviewed CEO Anthony Wood for its podcast, reports that the company is also aiming to ultimately develop its current Roku Channel into the main way people interact with the service. Apple has tried a similar user management move, if not an extra advertisement maneuver, with its TV app on both Apple TV and iOS. However, as well as the technology to aggregate multiple TV providers into one app there are issues of permissions from content providers. While Netflix is available on Apple TV, that company has not yet agreed to allow its service to be included in the TV app. Like Apple TV, Roku TV's service includes apps and some of those will also show you adverts. However, it can be Roku's own team that is selling that advertising space. Which means that the company is selling you. Back in 2014 when speaking about free services, Apple's Tim Cook made the observation that "when an online service is free, you're not the customer. You're the product." The concept applies to Roku's model as well.